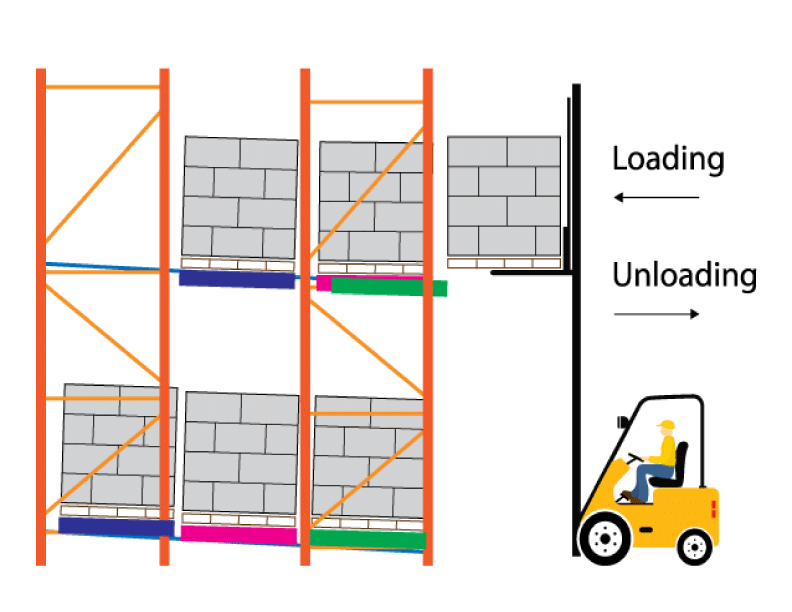 Push back rack is designed for last-in, first-out (LIFO) inventory management. 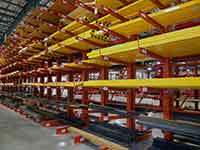 Rack supports carts that move along inclined rails. 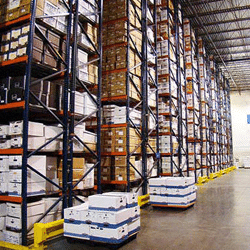 Push back systems utilize the warehouse cube to reduce required aisle space and maximize product storage, making it a high-density pallet storage solution. 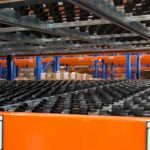 A variety of layout configurations are available with variable bay widths to accommodate single-wide or double-wide pallet rows. 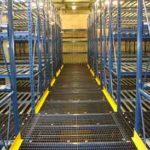 Since push back systems maximize product storage, they are ideal for spaces that require a higher density solution such as freezer and cooler environments. 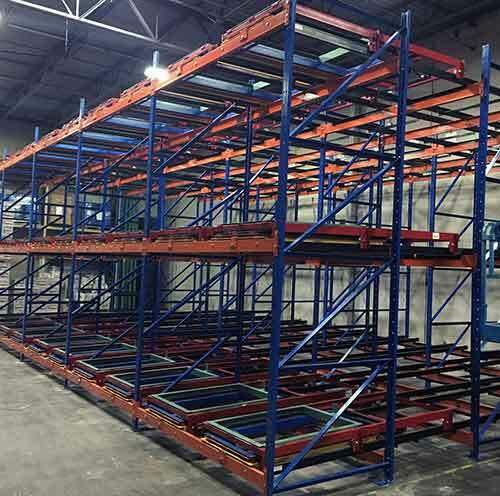 Push back rack allows access to multiple groups of SKUs simultaneously to accommodate warehouses or distribution centers that house a variety of products. 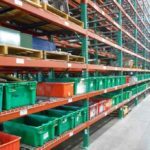 Read below to learn more on push back racking product flow, typical applications and other considerations. If you'd like to speak with a representative regarding push back rack, fill in the contact form on this page or call (800)595-0400. 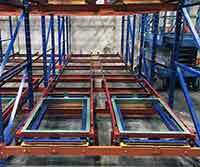 Each pallet is loaded from the front of the system on to a cart. Using the next pallet, the first is slowly pushed until it is aligned with the next available cart. 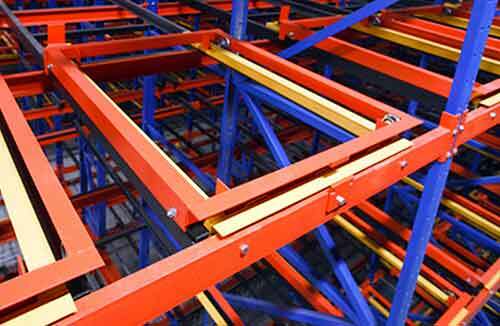 When the front pallet is unloaded, the next pallet glides to the front for picking. DO YOU NEED A PUSH BACK RACK? 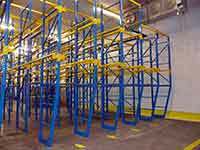 If you need a complete push back rack system, we can help. 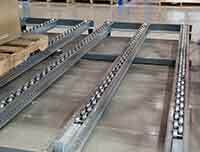 We've been creating high density push back rack systems for more than 50 years.